The recent announcement of the discovery of 219 new planets that have conditions favorable to support life got me to thinking: given that there are perhaps billions of habitable planets in the known universe (https://en.wikipedia.org/wiki/Drake_equation), the odds that there are civilizations as advanced as ours (setting aside the questions of whether our civilization is really advanced at all!) are pretty big. My religious friends mostly believe that a “god” created the universe and everything in it. One would assume, therefore, that this god created, or at least set in motion, the events that have resulted in not only intelligence, but also sin, on some of those habitable planets. If, say, planet X-45202b has an intelligent, but sinful species, did Jesus also die for the sins of that population on that planet? And if there are, say only 1,000 planets in the universe with intelligent/sinful species, did Jesus go from planet to planet being born and dying for their sins? What if there are a million planets that can support intelligent/sinful life? What if some of the planets that can support life haven’t gotten to the stage of intelligence/sinfulness? Will Jesus have to go there in the future and be born and die again and again and again? Or was all of that just an Earth thing? My boyhood friend and later rock and roll band-mate, Dennis Willard, posted a blog awhile back ( http://dennywillard.blogspot.com/2012/02/smooth-jazz-in-seattle.html ) that traced his musical roots. That got me to thinking that this might be a good time in my life to do the same. So, herewith is my best recollection of how playing music was a big part of my life for a period. Other than those ubiquitous elementary school recorders, the first instrument I picked up was a trombone I inherited from my Uncle Jack. He had played, briefly, in the high school band until he got his growth spurt and then, at just over 6’, he was recruited for the basketball team. In those days (late ‘50s), a six-footer was a highly valuable commodity on a high school team. In came the hoops, out went the toots. I got the trombone as I was entering the fifth grade and I remember very clearly not being given even the basic instruction on how to hold it. My grip, for the first week of practice, was such that every couple of minutes the bell would fall off the slide assembly. After several loud crashes that interrupted the proceedings, my band director finally showed me how to hold trombone to make sure there was a good solid connection between the two important pieces of the instrument. Despite its dents, I played that trombone through elementary school, junior high and the first year of high school. I was accomplished enough on it to sit in “first chair” beginning my sophomore year. I managed to talk my mom into buying me a new horn that year, a shiny Olds “Special” that looked something like this. 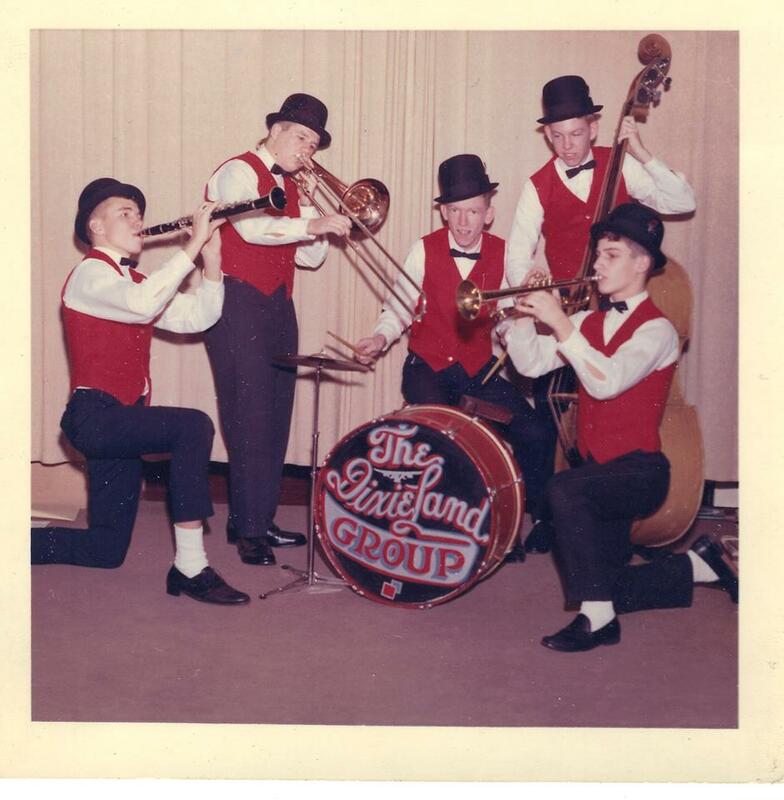 So, that horn saw me through concert band, jazz band, marching band and a non-school conglomeration called the Dixieland Group. 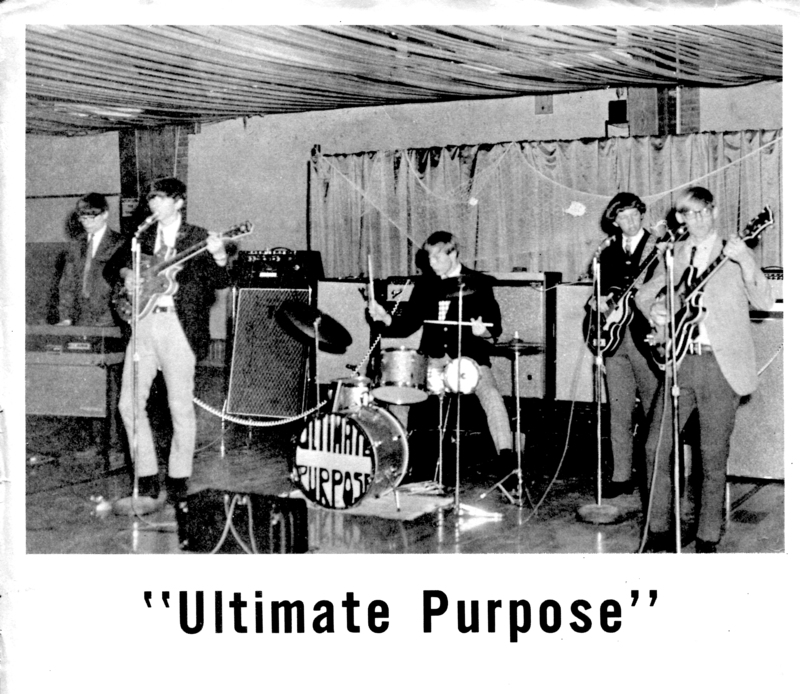 Mind you this was just before the Beatles took over the universe, so playing in a band like this was not looked on as being exceedingly nerdy. It was, of course, pretty nerdy, but at the time, folk music was ascendent so Dixieland was not too far removed. Besides, we had paying gigs! We appealed to the over-fifty age group and played lots of the summer picnics put on by the VFW, Lions, Elks, and assorted churches. Dixieland was “safe” music, so we were in demand. Linn Allen graduated in 1964 and went off to the University of Missouri, so we lost our piano player and I switched to standup bass. Here’s a photo of our new configuration. Notice we graduated from suspenders to vests and spiffy bowler hats. I wasn’t in the group that night, but knew that I wanted to be. 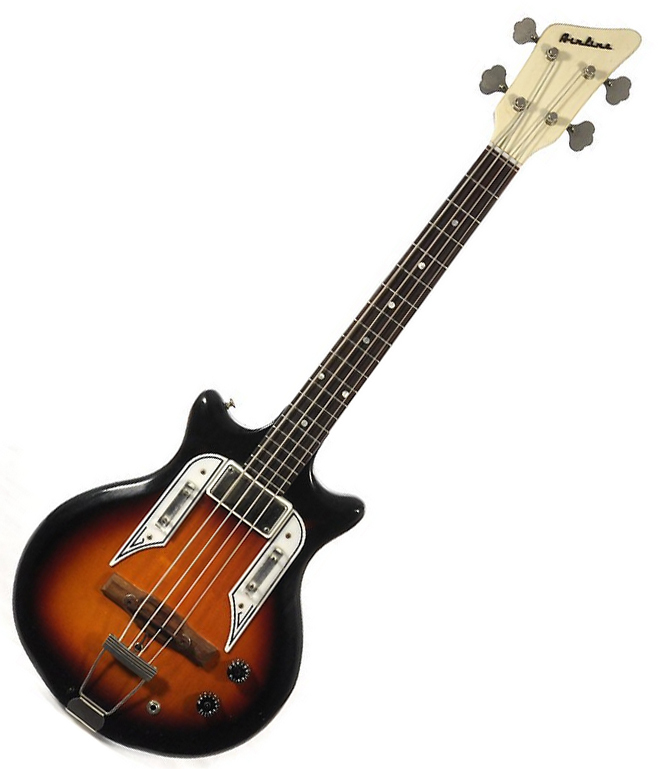 They didn’t have a bass player, so I went out and bought an Airline bass from Montgomery Ward, something like this one. That bass worked long enough to get me in the band but I realized pretty quickly that it wasn’t good enough for real rock and roll. 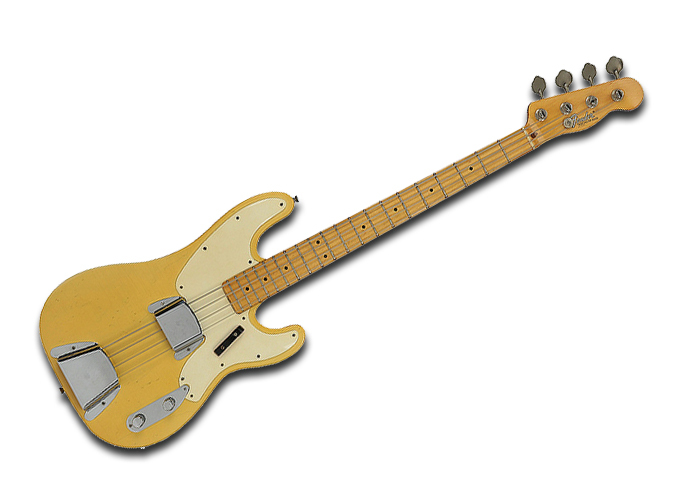 After our first paying performance (probably at the Monett Casino; it was not really a casino, just a building in the city park that hosted weddings, family reunions and dances), I had enough money to get the local bank to loan me the money to buy a Fender Precision bass. Here’s a photo of the band (renamed The Water’s Edge) with me and my new bass. That was a terrific instrument, but it was pretty heavy and one day, a couple of the band members and I were in a music store in Springfield, Missouri, where we were all going to college and I happened to see a Hofner bass like the one that Paul McCartney played. Now I wasn’t then, nor am I now, a fan of Paul’s but I did admire his bass, so I managed to trade the Fender for the Hofner. 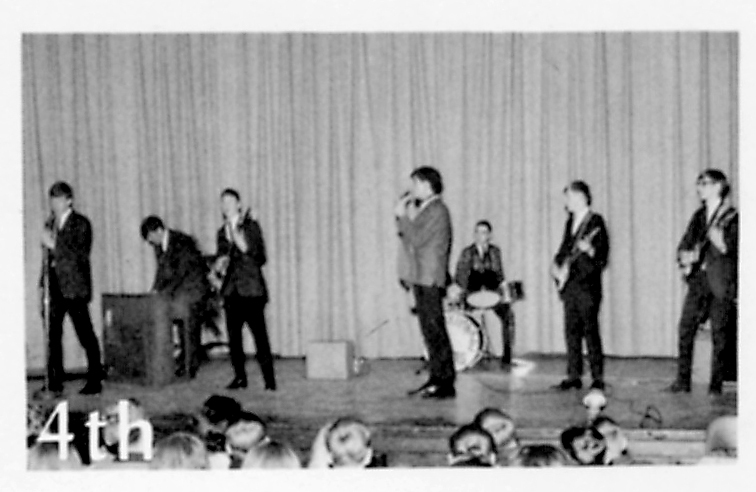 During the summer of ’67, the band underwent some personnel changes. We added a new drummer and guitarist, and lost a couple of the old members along the way. 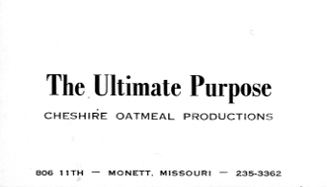 Once again, we changed our name to The Ultimate Purpose. Here’s a photo of us in action. 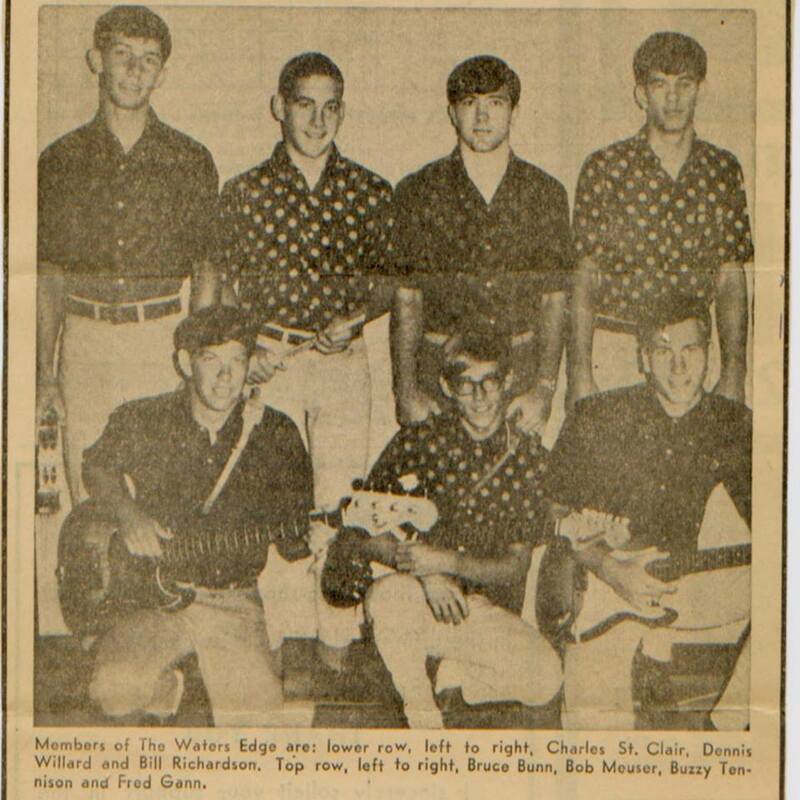 The lineup was Steve Vermillion on organ, Dave Boger on rhythm and vocals, John “Breeze Blues” Mitchell on drums, me with my Hofner, and Dennis Willard on lead and vocals. That configuration lasted through the summer until Dave decided to go back to Arkansas. That left the heavy vocals to Dennis and occasional fill-in vocalists. 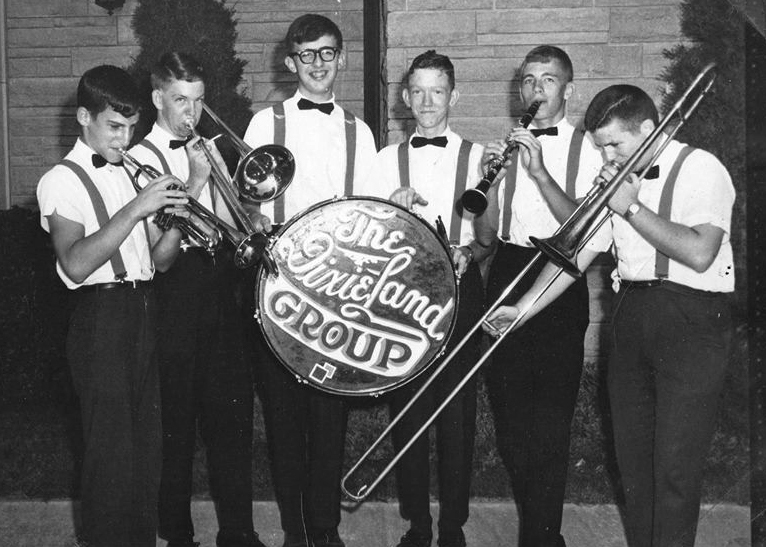 Fred Gann, who had been in the original band, rejoined for a few performances. Our repertoire through most of this time was made up of covers of the Lovin’ Spoonful, Rascals, Cryan’ Shames, Turtles, and Buckinghams numbers, but Dennis, Breeze, Fred and I had been to see The Who in St.Louis and decided we’d add a few loud songs to the mix. Things in Viet Nam were getting increasingly heated about this time and Steve got drafted. Rather than replace the organ parts, we tried out a few guitarists, but none of them really clicked. The band became a three-piece group modeled on Cream, Jimi Hendrix and The Who. We got my mom to make us costumes like the ones Hendrix and the Beatles were wearing: Nehru jackets in bright paisley, very psychedelic. In keeping with the psychedelic tenor of the times, I repainted the body of the bass white and spray-painted it in neon swirls. It was a terrific bass; heavy, wide-necked, groaning through those songs like Purple Haze, Sunshine of Your Love, I Can See for Miles, and Manic Depression. During a few performances, we even “destroyed” our instruments, a la The Who. Sadly, our good times came to an end. Viet Nam and the draft were breathing down our necks. Dennis decided that joining the Navy was the prudent thing to do and I made a brief foray into draft doggerdom, going to Canada for a bit, but that’s another story entirely. Since those heady days of rock and roll, I’ve only been an attentive and appreciative listener. No trombones or bass guitars around my house, but I do have tons of CD, tapes, original vinyl and a good Internet connection to keep music pulsing through the house. Every now and then, I even turn my stereo up to 11. I’ve been painting a lot over the last four weeks, getting ready for a show in August. Most people think that an artist picks up a brush, dips it into paint and a picture magically appears. Oh that it were so! If you paint on canvas, that might come fairly close to the reality (though stretching, sizing, and priming might take a few days unless one buys canvas pre-mounted and primed; and of course, this says nothing about the thought process that goes into deciding what to paint, which sometimes takes years), but in my case the process is a bit more involved. I paint on hardboard that I buy from Home Depot. Nothing fancy. It has a nice smooth surface and works well for my highly-textured images. When I get the 2′ x 4′ sheets home, I have to decide what size paintings I’m going to do. 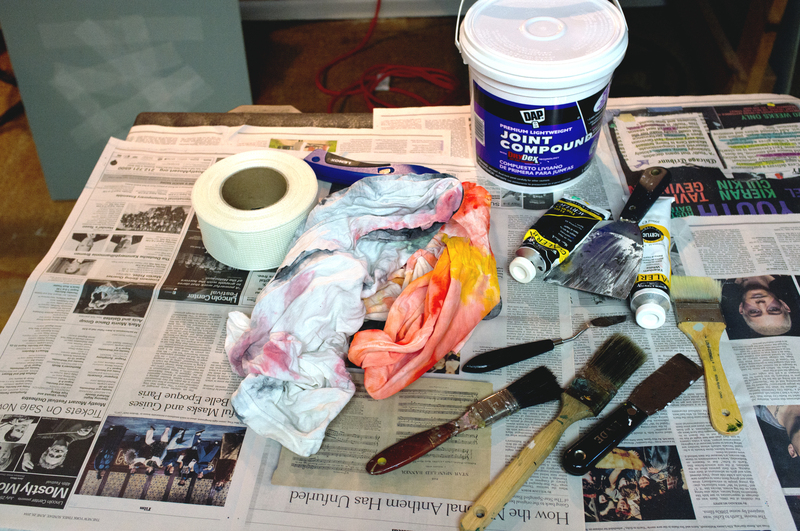 I usually cut the larger sheets into smaller sizes, glue blocks for hanging on the back, prime the pieces with latex, apply drywall mesh and joint compound to create texture, shape the compound, and when that is dry, apply a couple of coats of gesso. Then, I’m ready to paint. Right now, I’m working from the inspiration of the poetry of Octavio Paz, the great Mexican poet, diplomat, teacher, Nobel Laureate. Seven years ago, I started a series based on the stanzas of the poem “Salamander.” So far, I’ve completed twelve of the twenty pieces and hope to finish the rest in the next couple of years. I’ve also done paintings based on about a dozen other poems by Paz. One of these days, another inspiration will arise and I might be doing paintings based on “Gilligan’s Island” or “The Andy Griffith Show.” Now, that will truly be Surreal. Here’s a look at the process I use and a few new paintings. Panel being primed. Yes, I use house paint. A couple of panels primed. Next, I apply drywall mesh to provide a surface for the joint compound to grab on to. A panel with joint compound applied and shaped. A panel that has been gessoed. I got a letter from my doctor a while back letting me know that he was changing his practice type (he’s becoming a concierge doctor, in effect) and beginning in May, I would have the opportunity to become part of his “smaller, more personal” practice… for a small monthly fee. He promises to see fewer patients, be on time, spend more time with each of his patients, and provide on-demand service, 24/7 as they say. And because he’ll have a smaller case-load, he’ll be able to stay up-to-date with the latest medical information and techniques. I’ve decided not to continue with my current doctor, but here’s what I’ll be proposing to the new one, when I find him or her: I’m going to become your “concierge patient.” For a small monthly fee (I haven’t decided how much yet, but it will probably be about the cost of your monthly car payment, if your car is a Mercedes S550), I will be available for medical issues 24/7. If I’m ill at 3:00 a.m., I’ll be happy to let you come to my house to diagnose my problem. If I need tests or referral to a specialist, I’ll split the cost with you, over and above what Medicare pays. I promise to be on time to my appointments (or no more than an hour late) and spend as much time with you as you think appropriate, even if it takes all afternoon to figure out why I have a pain in my elbow/knee/big toe. I’ll gladly let you take your free time in the evening to keep up with your reading (except when I need you to come to my house at 3:00 a.m., of course) and even bid you “bon voyage” when you go on vacation, except that I expect you to come right back from Spain, Greece or the Caymans if I’m sick. If you agree to these terms (and why wouldn’t you; I’ll be a great patient), please sign and date below and expect a call at say… 3:00 a.m.